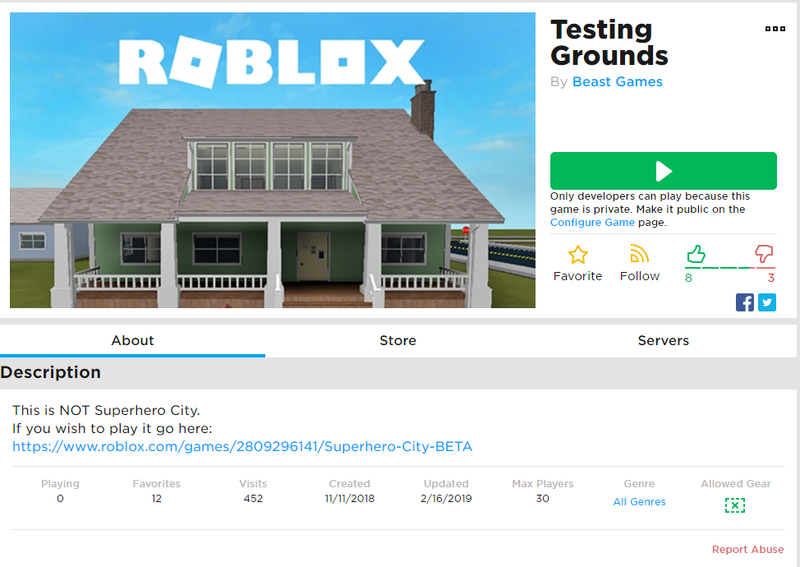 Currently, with the new group page, many group games are refusing to show up on the group. Some do, but our main ones do not. This has been impacting player levels because new players simply have no way to get to the game, other than ads. Group games is checked to be visible on the group page. This bug report is about games not showing up on the Groups profile page. Do not discuss or rant about the new Group profile layout here. There is currently a bug where some of my active games are not displaying on the group page. Currently, my main game is not displaying, while another game will display on the group page just fine. Both games have the same exact settings on their game and start place configurations. I expect that my main game which has been having a steady income to physically appear on the group page. This bug occurs daily and I can not fix it. I have tried making the game private, then public again, but still, it fails to appear. Shutting down the place does not resolve the problem either. This bug has been noticeable by my partner and I ever since the new group update. I would like to know as soon as possible when this bug is fixed. I imagine some players in the group rely on group game links to play the game. I’d double check to make sure your group settings are correct so the games are visible. It is marked, otherwise my game “Prarie” wouldn’t have been able to show up in the first place. I’ve tried checking, and unchecking that box multiple times. There is nothing I can do to make my main game appear on the group page. This affects me too. I cannot find a way to get my game to show in the Games area. I have this issue too. One of my group games won’t disappear. I’m having the same issue, I recently created a group with me and a friend of mines so that we both can make games together, I made it yesterday and we’re creating a game but it won’t show. 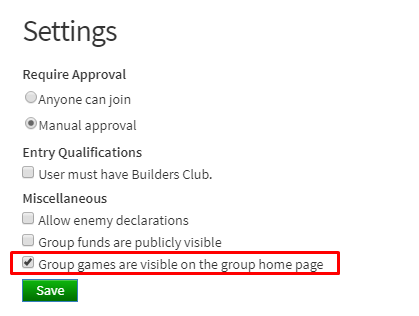 I’ve selected “Group games are visible on the group home page” but it still doesn’t display, funny how the bug appears and bothers me right when I make a group. It has been 8 days and I can still confirm I have the issue. I have done everything in my power to solve it. I’ve turned on/off group game display, removed all the gamepasses from the game, turned off Team Create, reverted it back to the original place. 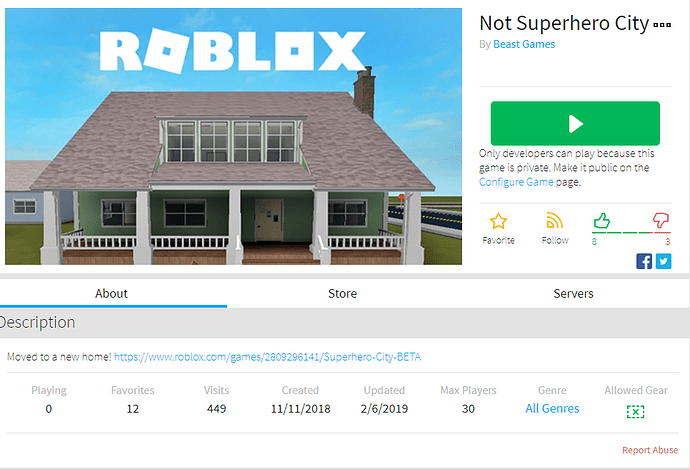 My games started appearing on the group page today! This should be fixed. Let us know if it’s not fixed for you. I’m having the same problem. 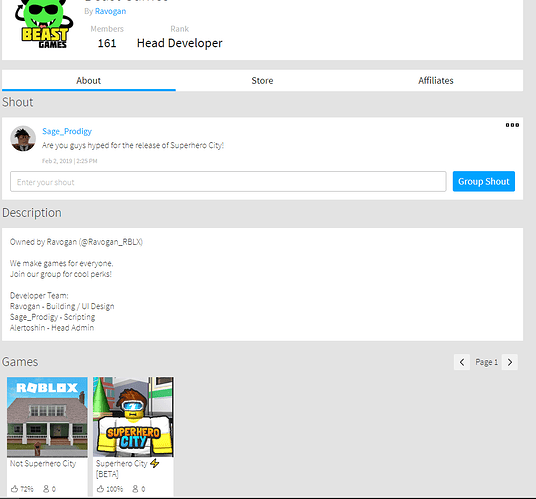 This place originally when made (around 3 days ago), appeared on my Group’s game page, but has now disappeared. 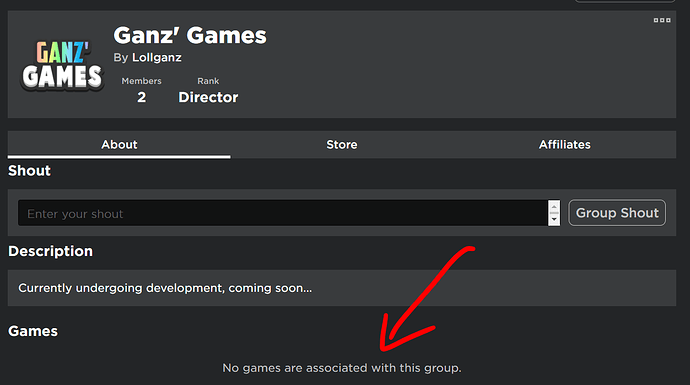 I do have the “Group games are visible on the group home page” setting ticked. 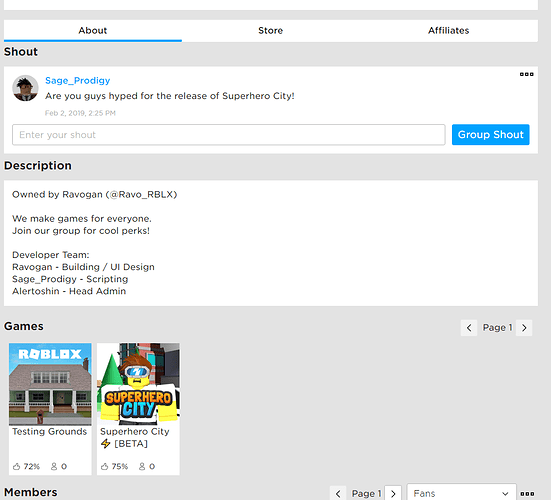 The group page only shows public games. 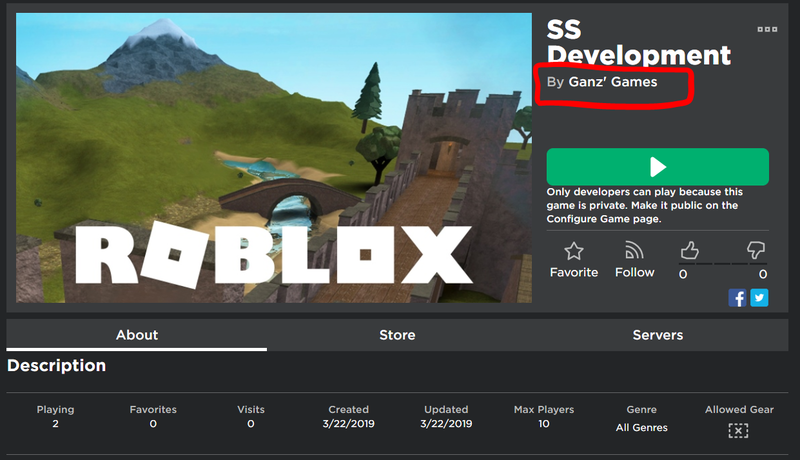 The SS Development game you’ve sent a screenshot with is private.